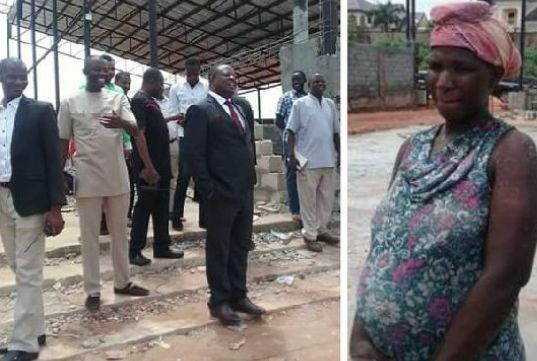 Ebonyi state governor David Umahi was moved to compassion when he spotted a pregnant woman at a construction site working as labourer, while inspecting the mushroom farm project in Abakaliki. The woman identified as Gloria Nwankwo, from Ishieke, Izzi LGA was among the labourers mixing the concrete on site. The governor walked to the expectant mother, and ordered her to go home, adding that her condition was not good for such tasking job. He didn't just stop there. He made an instant donation of N200,000 for the woman to start any business of her choice to enable her take care of her unborn child.